After developing many varieties of Stylophones I decided to put the strings directly onto/into the turntable. It was the sumer of 2001 when I drew the image below and by the end of August I had built the first Phonoharp. 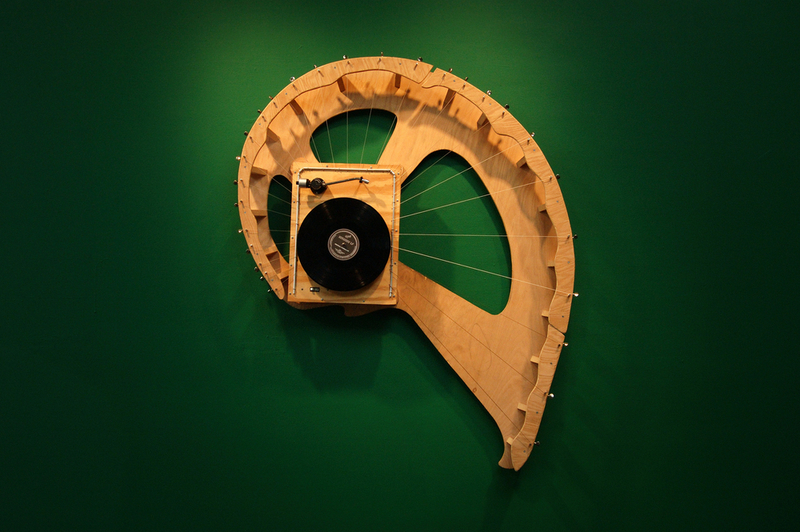 It has 26 strings that ferry the vibrations into the body of the turntable which get picked up and amplified by the stylus.